Very friendly. Breakfast in the room was nice, delivered. Pool was clean and warm. Location was impeccable. We would walk to Potato Head, through to the beach, and walk the beach down along the resorts and cut into Seminyak Square and wherever the day took us from there. Price. Price was great for the location. Everything you could possibly need is at this location. The staff was lovely they even had welcoming drink when we arrived that was very refreshing after a long flight in a humid country. We didn’t even have to buy SIM cards for our phones because they not only have great WiFi for your bill but they have hotspots for you to have while out in the town. They have they also welcomed us with a exotic fruit basket that was so good I almost cried lol. They offer free breakfast with a huge menu of different foods that they bring at whatever time u desire in the morning. They clean your rooms and pool daily also with out even have to be called.. I HIGHLY RECOMMEND this location for all types of tourist ..
We found a gem! Our villa was amazing and just what we were looking for. Great size and the staff was incredibly friendly and accommodating. this place is super amazing the best villa i ever seen so far the staff is truly accomodatitng and very relaxing... i had the best time in bali because of the people in this place!!! The staff showed exceptional service! They were friendly, affable throughout our 4 days stay. Eapecially Emi, who was prompt to all my enquires via emails prior to checking in to the villa as I had requested for flowers and balloons decor service in the villa as a surprise for our friend on our first day. The decorations eventually exceeded our expectations and nothing short of amazing! Thank you! There was a wide variety of breakfast choices and the food was delectable. We were also provided a complimentary in-house 1 hour body massage which was very good! As it was low peak season, the management offered to extend our room stay FOC until late afternoon when it was time for pickup to the airport. Everything was seamless and perfect. Happy we chose The Buah Bali villa for our accommodation in Bali. Highly recommended! The staff could not do enough for their guests. Above & beyond helpful & so very, very thoughtful. Lots of special touches that I'll let you discover for yourself! We stayed in a one bed villa with its own pool & a lush garden... it was very private & peaceful. Super comfortable large bed with crisp white quality linen .. we slept SO well, great bathroom with plenty of clean fresh towels, good sized outdoor living area & kitchen. Very, very clean everywhere too. Breakfast delivered at a time of your choice .. was always hot & on time. Beach was an easy 10min walk. I've stayed at many hotels across the World and the Buah Bali Villas is quite simply THE best hotel I've ever stayed. 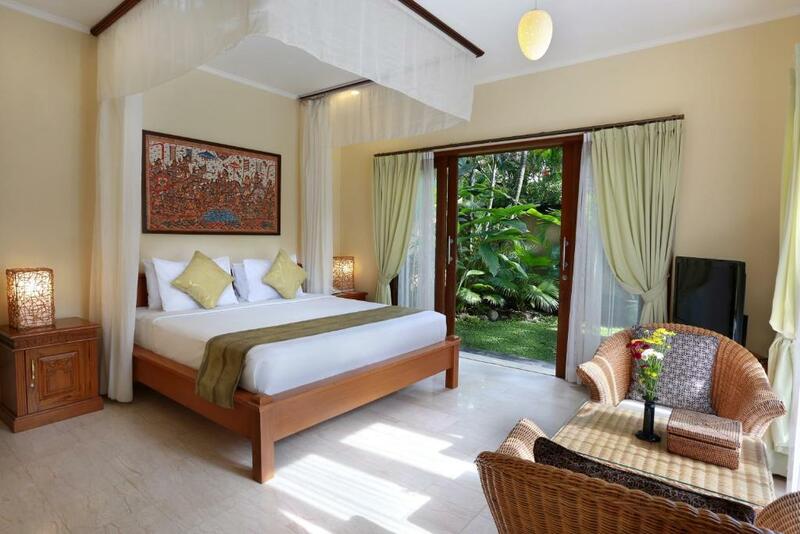 Lock in a great price for The Buah Bali Villas – rated 9.3 by recent guests! The Buah Bali Villas This rating is a reflection of how the property compares to the industry standard when it comes to price, facilities and services available. It's based on a self-evaluation by the property. Use this rating to help choose your stay! 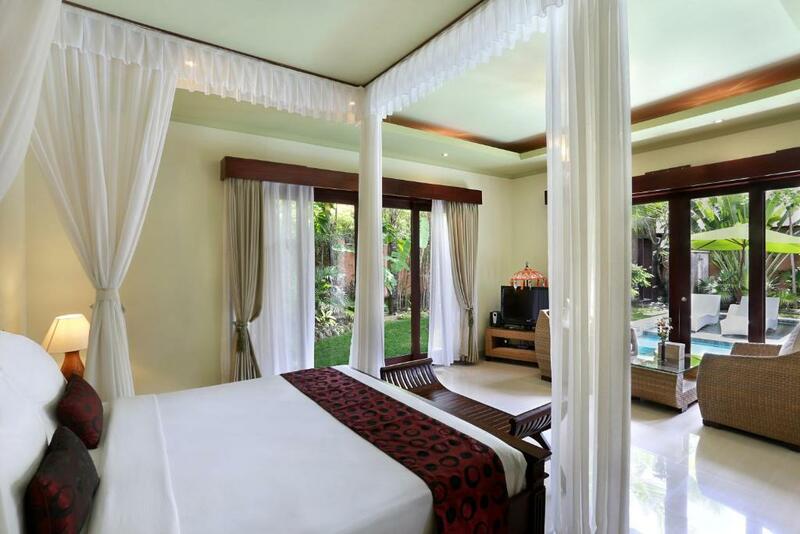 One of our top picks in Seminyak.Buah Bali Villas is located within 8 minutes' walk from Petitenget Beach. It features villas with private pools and kitchenettes. A free mobile phone per villa per stay is provided. 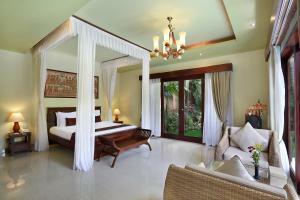 The Buah Bali Villas provides a free shuttle service to Kuta and Seminyak, and from Ngurah Rai International Airport. 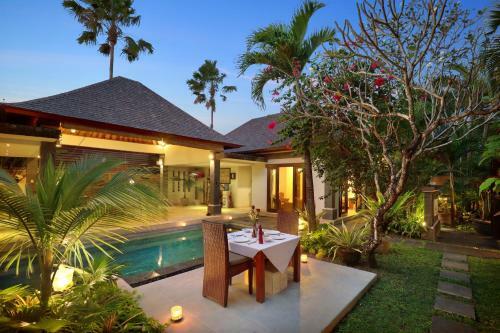 The property is a 3-minute drive from central Seminyak, 20-minute drive from Kuta area and a 30-minute drive from Ngurah Rai International Airport. The modern Balinese-style villas are entered through a private entrance and are fitted with a microwave oven and free mini-bar. Guests can enjoy free DVD and CD rentals from the front desk, and watch these in the comfort of their villas. Free mountain bike rentals are available for those seeking to explore the surroundings. The resort offers pampering massage services and lush tropical gardens in the surroundings. For extra convenience, guests can also rent mini WiFi modem to be used outside the villa. A daily American or traditional Indonesian breakfast is available. Afternoon tea accompanied by Balinese sweets is also included. All meals are served in the privacy of guests’ villas. When would you like to stay at The Buah Bali Villas? This modern villa features a free mini-bar, microwave oven and a CD/DVD player. It has an outdoor pool surrounded by a tropical garden. Offering more space, this modern villa features a free mini-bar, microwave oven and a CD/DVD player. It has an outdoor pool surrounded by a tropical garden. Boasting an outdoor pool surrounded by a tropical garden, this Balinese antique-style villa is fitted with a free mini-bar, a microwave oven and a CD/DVD player. For a minimum stay of 2 nights, guests will receive a special gift. 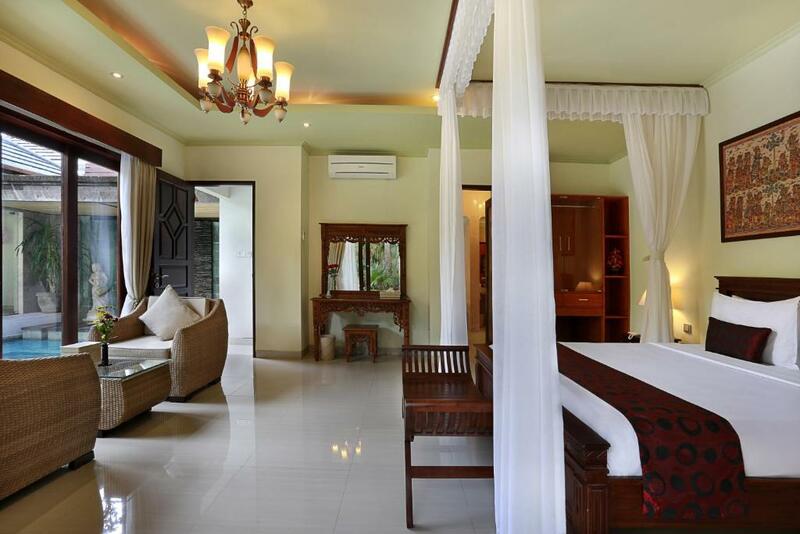 For a minimum stay of 3 nights, guests enjoy 1-hour free Balinese traditional massage for 2 people. 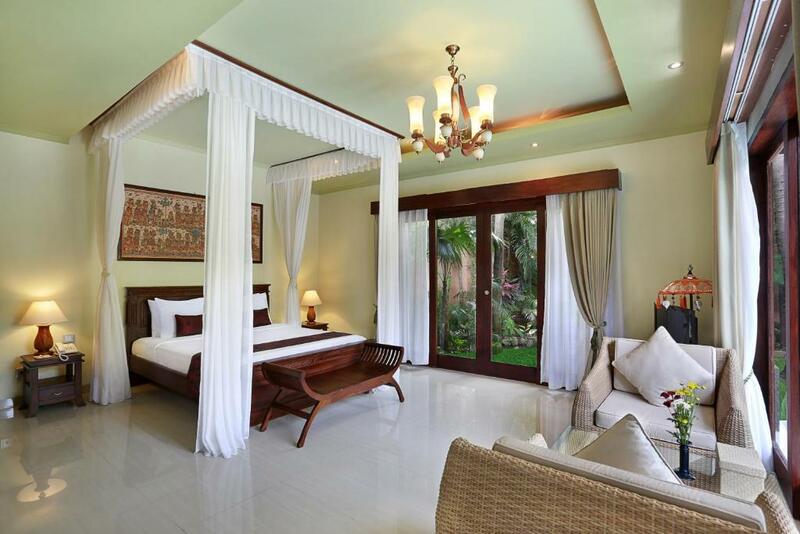 This Balinese antique-style villa features a free mini-bar, microwave oven and a CD/DVD player. It has an outdoor pool surrounded by a tropical garden. Featuring a larger pool with a special kids-friendly section, this spacious villa also features a bigger garden, air-conditioned living room and bedrooms. Other amenities like an electric kettle, flat-screen satellite TV, and DVD player are also available. The private bathroom has shower facilities and free toiletries. - Fruits and juice upon arrival. Boasting an outdoor pool surrounded by a tropical garden, this Balinese antique-style villa is fitted with a free mini-bar, a microwave oven, a water dispenser and a humidifier. Guests enjoy fruits and juice upon arrival. The word BUAH means FRUIT in Indonesian. 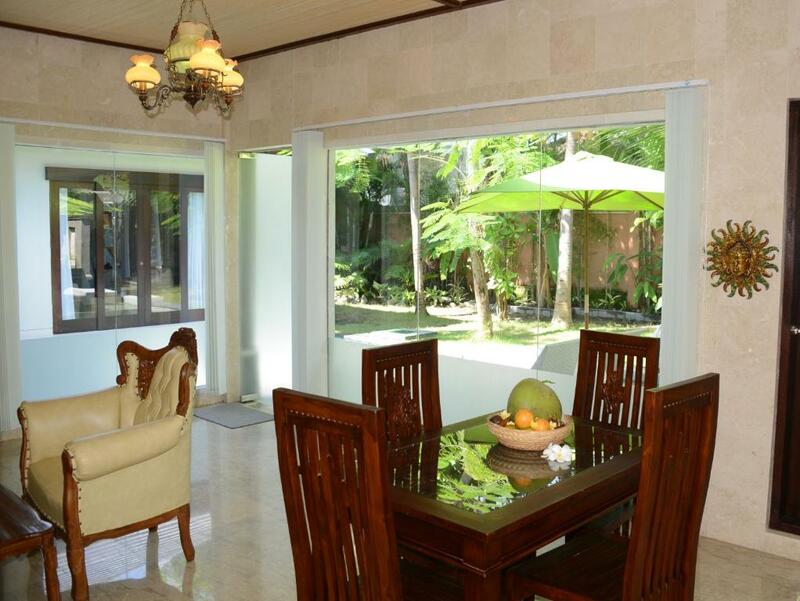 In every villa you can find various plants of tropical fruits such as banana, Mango, Papaya, Star fruit …. and lots more.Our well trained staff will support your stay with hospitality. We would like to serve the needs for our guests. House Rules The Buah Bali Villas takes special requests – add in the next step! The Buah Bali Villas accepts these cards and reserves the right to temporarily hold an amount prior to arrival. Please inform The Buah Bali Villas of your expected arrival time in advance. You can use the Special Requests box when booking, or contact the property directly using the contact details in your confirmation. Been to Bali various times and can strongly recommend this villa. Great location, excellent staff, beautiful setting and stellar service. Loved the villa, the pool. They made such a huge effort to decorate the villa for our mini-moon! It has such a peaceful ambience & the daily breakfasts delivered to the villa was just lovely. The staff were incredibly welcoming and helped whenever they could. Thank you for making our mini-moon so memorable! The villa is old, not well maintained, pool is dirty, mosquito everywhere, the flower pool that should be a surprise for my another half is not prepared, I already double confirm by using email for the flower pool set up. This disappoint me. Truly wonderful. Great location for the private and beautiful villas, close to some of the best restaurants and beach clubs. Super friendly and professional people taking care of you. Nice to have the pick up and drop off from the airport. 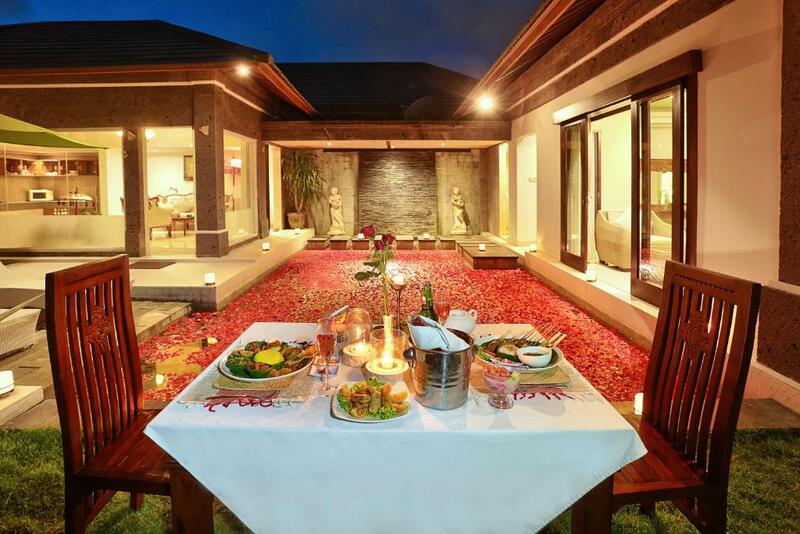 All in all, it couldn’t have been a better experience with Buah Bali Villas. The hospitality and friendly staff. There was a lot of mosquitos (even though the staff put a lot of mosquitos repellent) I would say the 1h30 massage was not stunning. The staff was super helpful and accommodating. There is full privacy in the villa and we loved it. Wasn't very thrilled about the bathroom. A lot of plastic wrappings on all of the towels, seems wasteful. Outdoor bathroom greeted by a large centipede - wasn't too bad, rescued the bugger. Didn't feel very comfortable in the bedroom, mosquito net didn't close around the back of the bed and seems like a lot of bugs died on it. Had a few mosquitos sleeping with us despite our efforts to keep them out. The mosquito incense burning was a bit strong as well. Only negative was the brekky was a little average and the decor a little tired but for the price you definitely can't complain. The staff were so helpful, would always give you a lift when you wanted it, the wifi toggle was a great free service. This villa is great value for money. Perfect place to stay in Seminyak. 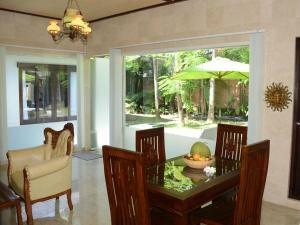 The villas are well appointed and spacious and the private pool is great. Airport pickup/drop off is so convenient, staff are friendly and are always happy to help and add a special touch to your holiday. Breakfast choices are good and they deliver to your room at the time of your choosing. The place is within walking distance to beach, restaurants and shops and they also do a drop off service to central Kuta. Overall 10/10 - will come back again.